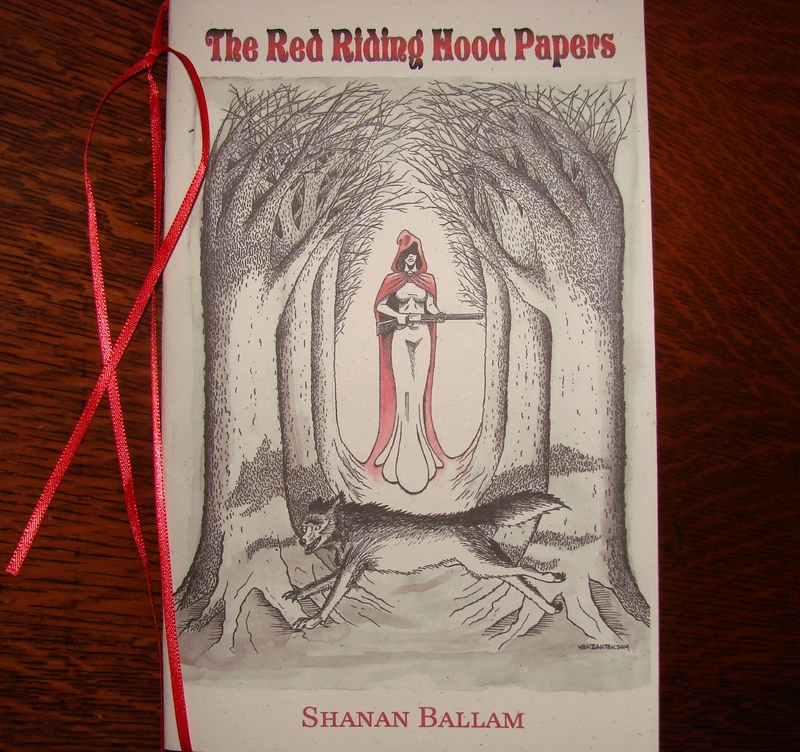 First things first—Finishing Line Press has crafted a beautiful chapbook with Shanan Ballam’s debut offering, The Red Riding Hood Papers. It’s a gorgeous object with great cover art, ensconced with black first and last pages, and mine even has a slim red ribbon tied snuggly against the binding, which can be used as a bookmark if you have to sit down more than once to read it through completely. But I wouldn’t suggest actually using it, because once you get started you’re going to want to see the story through to the surprisingly unpredictable end. tell her she looks like my grandma. Her yellow eyes brighten in a tight little smile. I always do, my dear. Red splotches in the dirty snow. Everything was frozen, or thriving. I was one breath away. through this brutal world alone. Oh, but love, you can. You will. This is ours—all of it. Maybe the inherent drama of this story (the undertones of sexual awakening and corruption mixed with humanity’s natural fear of the unknown) makes these moments even more poignant. At minimum, I think it’s the mark of a poet who knows exactly what she’s doing. 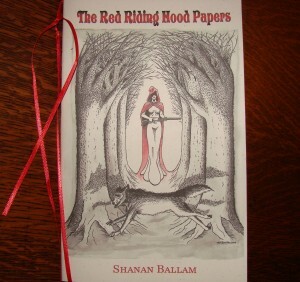 Ballam too, is great at managing her poems rhythmically and sonically, and frequently infuses lines with end rhyme and internal rhyme. It helps keep her lines balanced, keeps the reader listening, and keeps the poem moving at a lively but controlled pace. Her deftness with language, her sharp turns of phrase, and her keen use of the line break carry us through each page of this chapbook as though we were reading a collection from someone comfortably in the middle of her poetic career. But she’s not in the middle, just begun really, right on the cusp, and I for one look forward to following her wherever she takes us next.